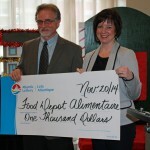 Today, Food Depot Alimentaire announced the support of several groups and organizations in conjunction with their annual 30 Days of Community Caring Campaign which kicked off today and ends on Dec. 20. 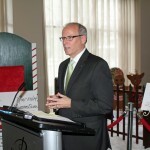 Over the next 30 days, a number of activities will take place in the community with the shared goal of raising food and funds in support of the Christmas box program along with sustaining FDA operations throughout the winter months. 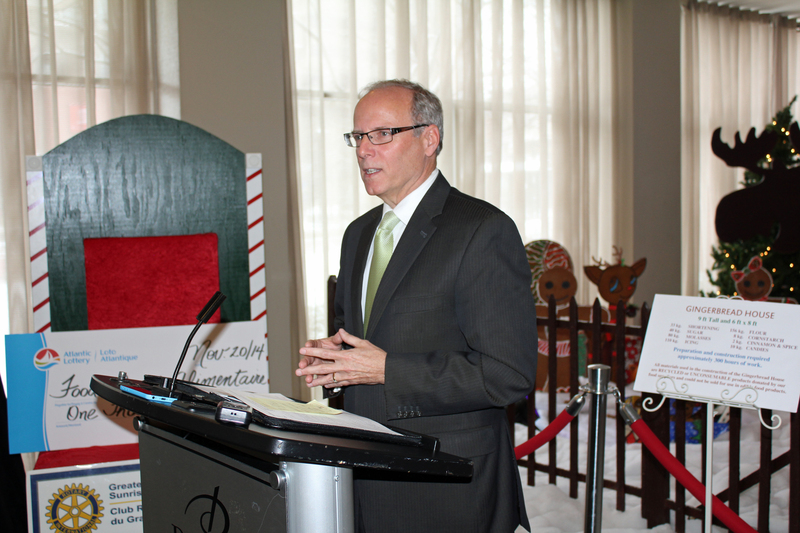 Christmas and the cold winter months create additional costs to low-income families who must turn to food banks for assistance in helping them juggle this financial burden. In past years, FDA would be approached by various organizations on an individual basis to provide assistance. 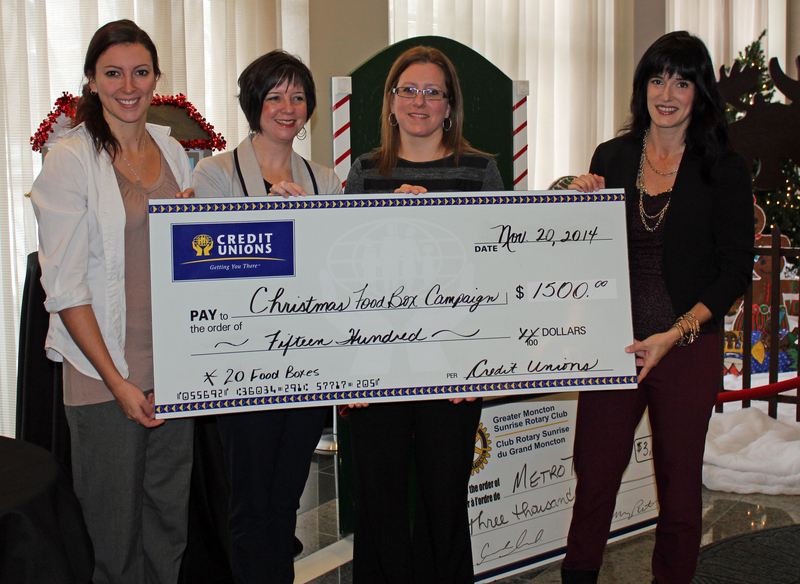 These individual offers of support are now joined together under one huge effort known as the 30 Days of Community Caring Campaign. 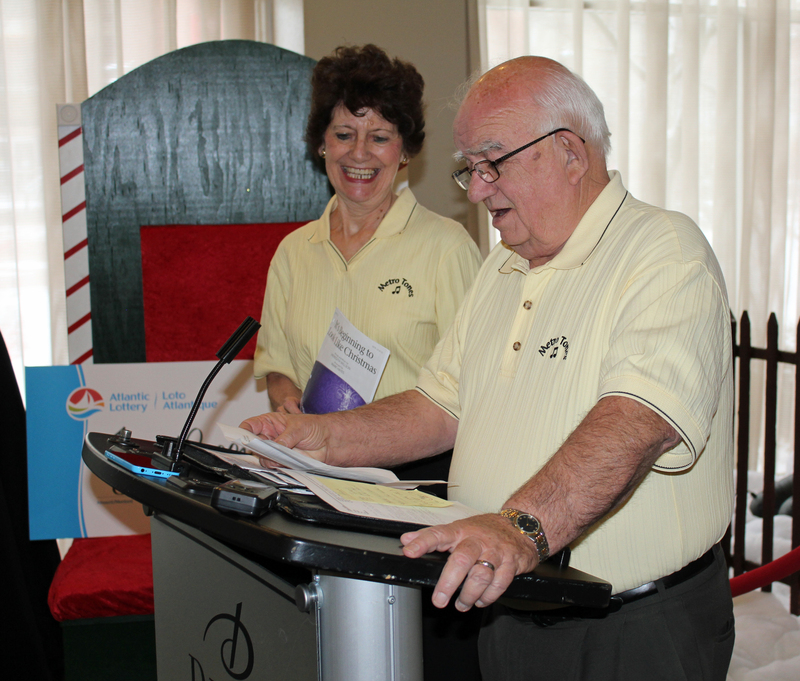 The 2013 campaign saw the community donate 4,800 turkeys, fill and deliver 1,750 Christmas food boxes, collect 15,000 pounds of food and raise $20,000. 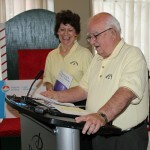 “The total in terms of a dollar value exceeded $300,000,” said Mr. Hicks. 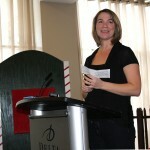 “It is a significant response and a testimony to the generosity of the community we live in”. 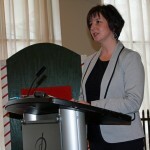 For more information on the campaign, visit www.fooddepot.ca or call 506-383-4281. The photos below show just a few of the many organizations and individuals who showed up to pledge their support at today’s event. 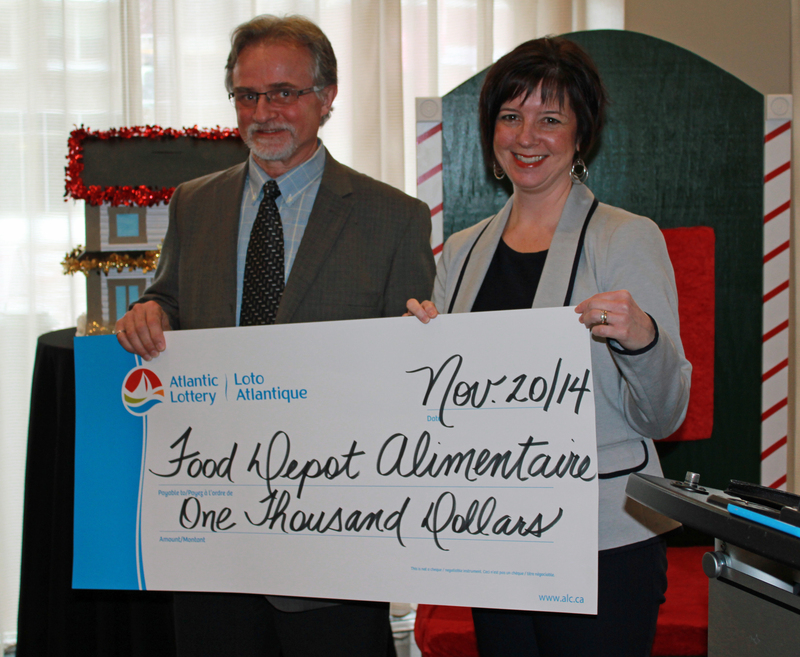 Atlantic Lottery donated $1,000 to Food Depot Alimentaire at today’s event. 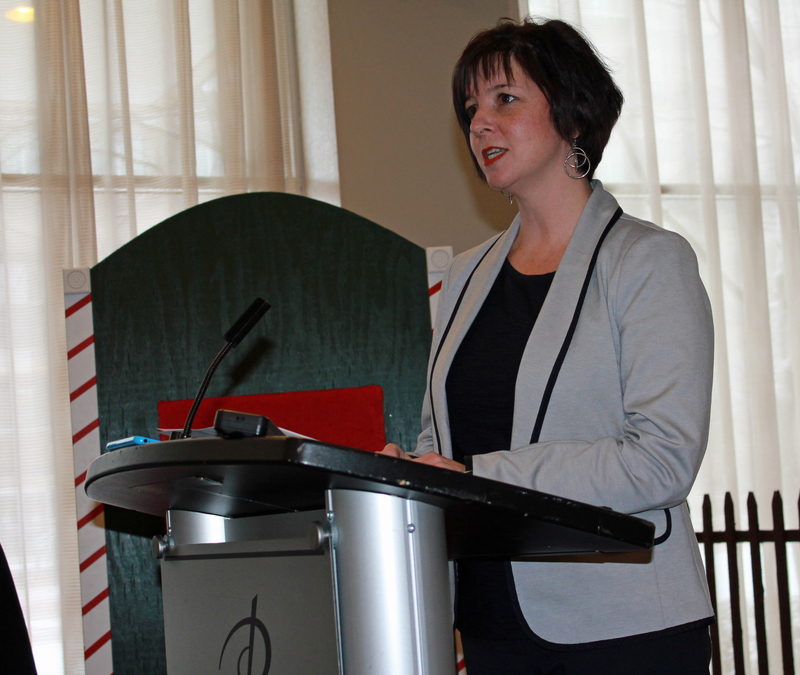 Carla Ayles, a member of the Food Depot Alimentaire board, explains this year’s Christmas box campaign. 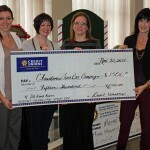 Advance Credit Union and Omista Credit Union donated $1,500 to Food Depot Alimentaire at today’s event. 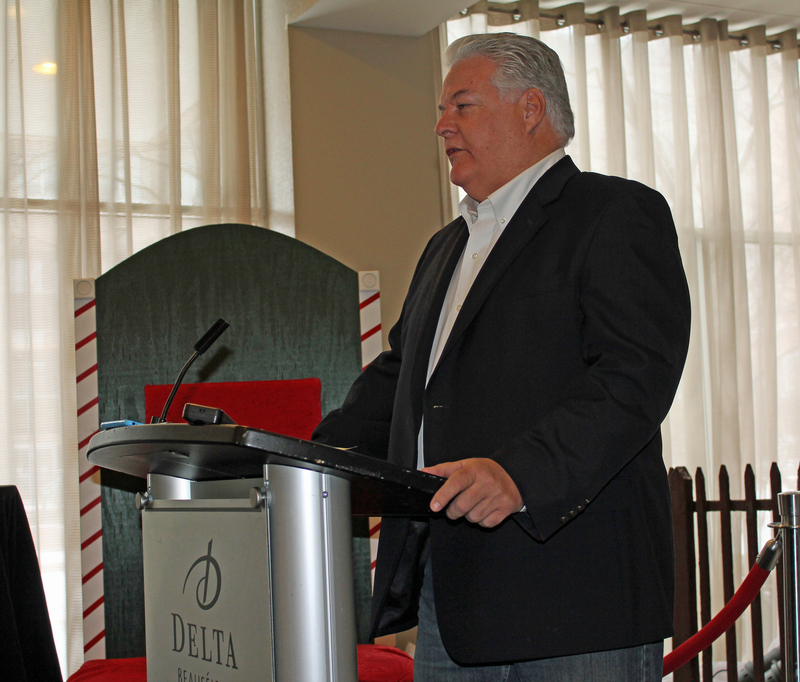 Food Depot Alimentaire board president Dale Hicks launched the 30 Days of Community Caring Campaign at the Delta Beauséjour in downtown Moncton. 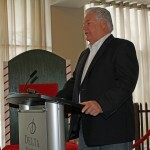 Moncton Mayor George LeBlanc offered his support to Food Depot Alimentaire at today’s event. 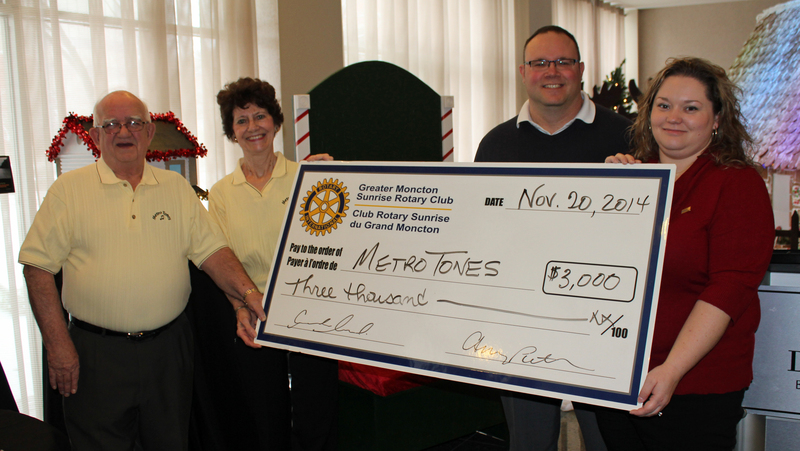 The Greater Moncton Sunrise Rotary Club donated $3,000 to the MetroTones Pop Chorus to assist in their efforts in filling the Wesleyan Celebration Centre for their annual Christmas concert in support of Food Depot Alimentaire to be held on Friday, Dec. 19. 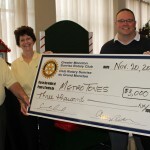 Pat Dickie and Peter Butler of the MetroTones Pop Chorus discuss their upcoming Christmas concert in support of Food Depot Alimentaire. 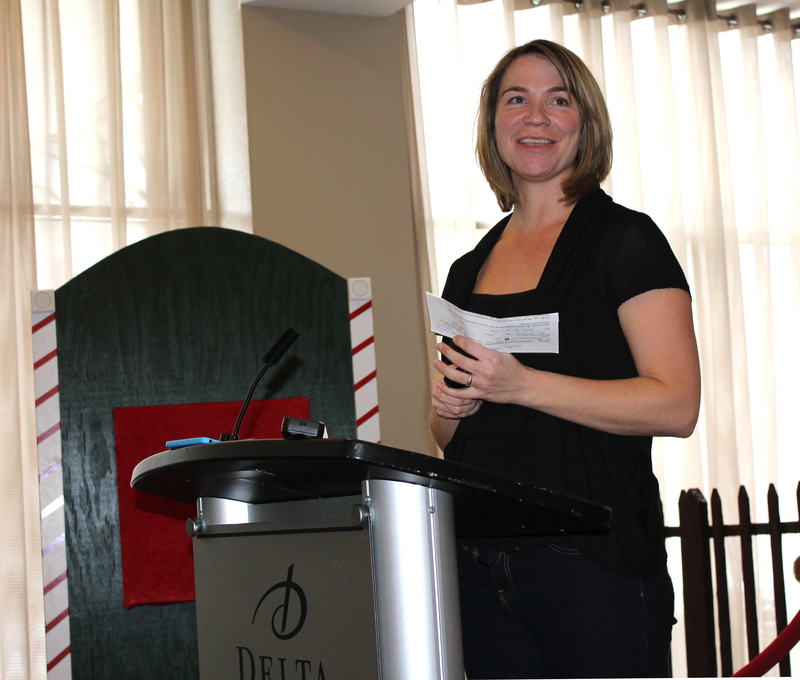 Vanessa Blanch of CBC Radio Moncton’s Information Morning Show offered CBC’s support for Food Depot Alimentaire’s 30 Days of Community Campaign for the 2014 holiday season.